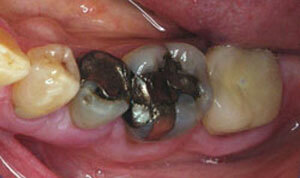 Before After This patient was unhappy with her unsightly “silver” fillings, which are truthfully more mercury than silver! We removed the decay and weakened tooth structure under the old fillings and restored these teeth with lifelike CEREC porcelain onlays in one visit. 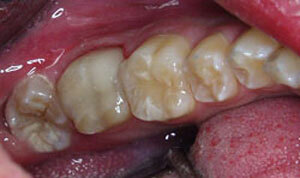 The result is stronger and more biocompatible. 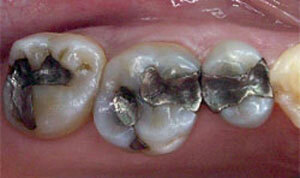 Before After This is an example of what can happen to a tooth that gets decay around an old “silver” filling. 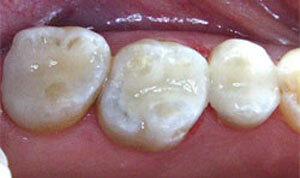 This patient bit down on something not very hard and the enamel fractured off. 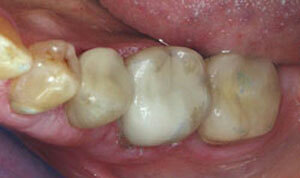 This tooth was restored with a CEREC onlay in one visit. Before After This patient was complaining of a metallic taste in his mouth and he couldn’t chew on this side of his mouth without pain. 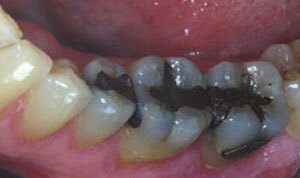 In one appointment we were able to replace the old amalgam fillings with porcelain onlays. Now the bad taste is gone and he can chew comfortably and efficiently. 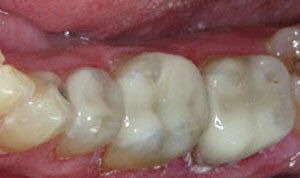 Before After Look closely and you can see that even with these extensive old fillings, we were able to preserve tooth structure with these CEREC porcelain onlays. 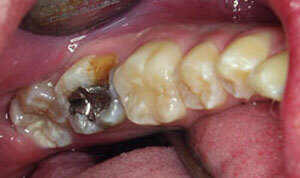 If we had done crowns, we would have had to remove any enamel remaining on these two teeth. This technique allows us to strengthen badly broken down teeth making them functional and esthetic without excessive tooth preparation, often avoiding the need for root canal therapy.